Janelle Vincent is a Registered Dietitian with a passion for sport, who strives to help athletes achieve their athletic potential by helping them properly fuel their bodies. She has worked with athletes/teams from recreational to national level, with most of her work currently being with university level athletes. She received a Bachelor of Exercise and Sport Science (2004) followed by a Bachelor of Science, Human Nutritional Sciences (2007) and Dietetic Internship (2008). To continue her education in the field of sports nutrition, she attended the Dietitians of Canada & Sports Dietitians Australia 4-day Intensive Sport Nutrition Course (2009), completed the IOC Diploma in Sports Nutrition (2014) and recently became a Board Certified Specialist in Sports Dietetics (CSSD) in July 2016. Janelle is a member of College of Dietitians of Manitoba, Dietitians of Canada and co-chair of its Sports Nutrition Network, Manitoba Sport Nutrition Network (past co-chair), and Professionals in Nutrition for Exercise and Sport. She is also a board member of the Sport Medicine and Science Council Manitoba and Substance Use in Sport and Health. Janelle competed as a University of Manitoba Bison in Cross-Country and Track and Field, and is also a Competition Development (Level 3) trained coach in Athletics. Janelle has Celiac Disease and can help you with those needs as well. Services available in both French and English. Jorie Janzen is a Registered Dietitian, Sports Nutritionist (IOC Dipl Sport Nutr) and Life Coach (CCF). Jorie has gained over a decade of experience working with National, and Olympic level athletes, the NHL and the RWB. Some of her roles include: Past President of the Sport Medicine and Science Council Manitoba, Founder of the Manitoba Sport Nutrition Network and Past Co-Chair for Dietitians of Canada Sport Nutrition Network, and member of the Hockey Nutrition Network. Jorie currently works full time as the Director of Sport Dietetics with the Canadian Sport Centre Manitoba. Chris Hyde has a passion for sport and works alongside athletes to assist them with reaching their performance goals. Chris grew up playing hockey in Manitoba where he played community level as a youth on up to the local junior ranks to now putting back that same passion and time into the sport through coaching. Chris received his Bachelor of Science degree in Human Nutritional Sciences from the University of Manitoba and subsequently completed a dietetic internship. Chris is also a certified level 1 in ISAK Body Anthropometrics. Along with working with provincial sports programs, Chris works with athletes at the Sports Medicine Centre of Manitoba and Legacy Sports Medicine Clinic. He is also a member of Dietitians of Canada. Chris helps athletes and teams reach their goals through healthy, appropriate nutrition education and meal planning. Be it grass roots or elite level, all ages and sports, nutrition is a key component to top level performance and Chris can help show how nutrition will benefit you. Jennie Cowan is a dietitian working in Swan River, MB. Jennie received her Bachelor of Science degree in Human Nutritional Sciences from the University of Manitoba and recently completed the IOC Diploma in Sport Nutrition. Jennie has experience working with amateur athletes in hockey, curling, figure skating, kayak/canoe, basketball and Special Olympics. Having a Sport Nutrition plan is an important part of high performance sport and Jennie loves working with athletes, coaches and parents of athletes to fuel powerful performances! ​Jennie is a member of the Dietitians of Canada Sport Nutrition Network and Manitoba Sport Nutrition Network. University of Manitoba, and her Dietetic internship in Halifax, Nova Scotia. She is a member of the College of Dietitians of Manitoba, Dietitians of Canada, the International Society of Anthropometry and Kinesiology, the Manitoba Sport Nutrition Network, Dietitians of Canada’s Sport Nutrition Network, and the Diabetes, Obesity and Cardiovascular Network. In her spare time, Tenille enjoys reading, playing volleyball, and spending time with her husband and two kids. Renée Raban is a Registered Dietitian working in private practice and health care since 2009. She has knowledge and experience in various aspects of nutrition such as overall health and wellness, weight management, clinical nutrition and sport nutrition. Renée promotes using nutrition for living your best life as she strives to achieve the same in her personal life with her career in dietetics, her husband and 2 sons. She completed her Bachelor of Human Nutritional Science degree at the University of Manitoba, and her Dietetic Internship in Winnipeg. She is a member of the College of Dietitians of Manitoba, Dietitians of Canada, the Manitoba Sport Nutrition Network and Dietitians of Canada’s Sport Nutrition Network. Renée can provide services in both French and English. Valerie Howden received her Masters of Science in Applied Human Nutrition from the University of Guelph. 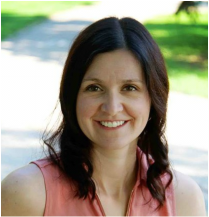 Since completing her Practicum in Clinical Nutrition from Chedoke McMaster Hospitals, Valerie has over 15 years of experience as registered dietitian at St. Boniface General Hospital, Children’s Hospital – Winnipeg and various clinics. Sport nutrition service focuses on training, recovery, competition, and travel need to provide optimal performance. All ages and activity levels are welcome. Body composition assessment to determine lean and fat mass available. Marieke Breakey thoroughly enjoys working in the field that allows her to combine her love of food and sport! Marieke received a Human Nutritional Sciences degree at the University of Manitoba, and completed her Dietetic Internship in Manitoba. Marieke has experience with a variety of sports from martial arts to aesthetic sports. She offers individual nutrition counselling as well as group presentations and grocery store tours for teams. Whether you are recreational athlete or competing at an elite level, Marieke is game to help you make smart choices about food.